As functional as it is versatile, this daybed is exactly what you have been searching for! 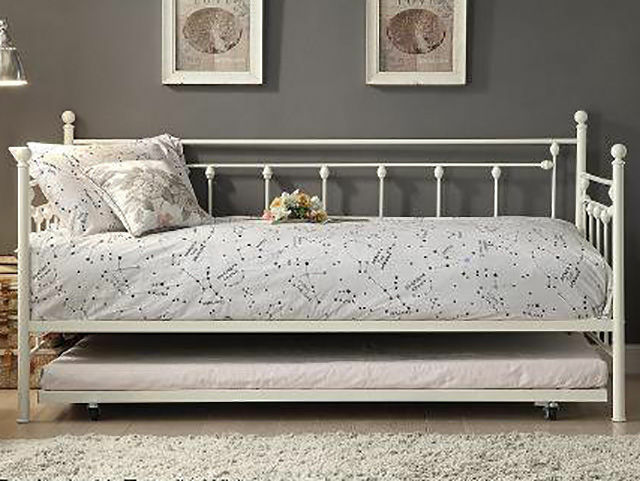 Featuring elegant finial detailing, a white powder coated finish, and pull out trundle with casters, this daybed is built to please! 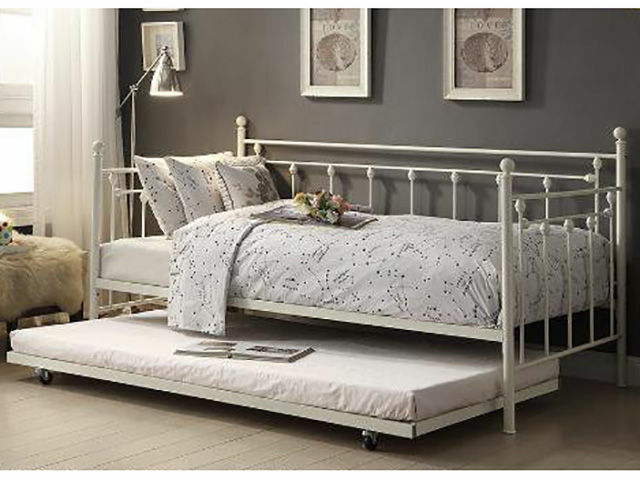 Pull out trundle with casters.